Have you noticed the coughing and sneezing in your office starting? It is a sign that cold and flu season is in full swing. Especially this time of year, a lot of people are more susceptible to getting sick. For your own wellbeing, it is good to take preventative measures to help combat against cold and flu season. Even though cold and flu season started around November, it is not too late to get a shot. In fact, the flu is most prominent in February. This means you still have time before the flu comes for you. Flu fighting vaccines are one way to stay healthy and prevent or minimize the flu. Though it is not a one hundred percent guaranteed solution, getting a flu shot will make you less likely to feel the full effects of it. For the common cold it is important to take precautions to stay healthy. If people next to you have a cold, it would be best to get some distance from them. Colds are very contagious and are easily spread via the air. Telling people to cover their mouth when they cough is a great way to stop the spread of a cold. Using hand sanitizer, taking vitamins, and drinking plenty of water are also great preventative actions to take against colds. 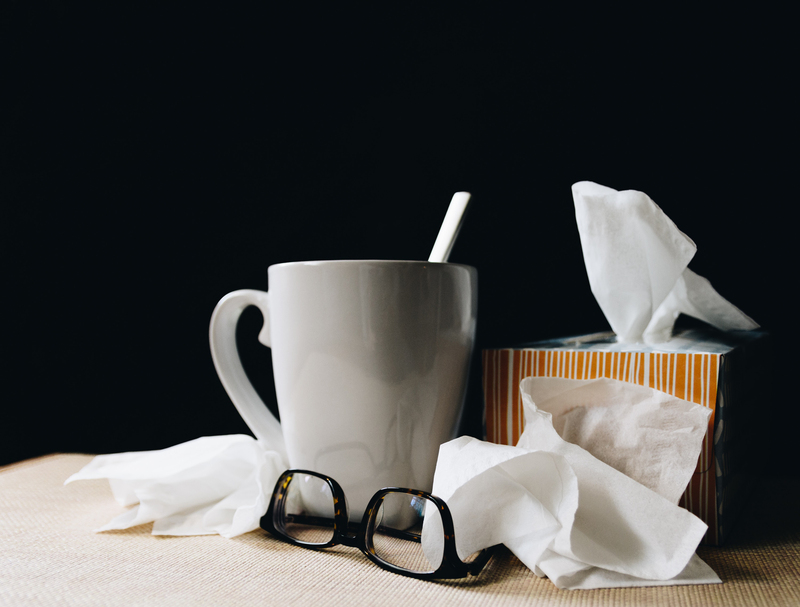 Cold and flu season is happening now but that doesn’t mean you have to get sick. It is important to follow these preventative measures to stay as healthy as possible. If you feel like you are ill, please consult with your doctor as soon as you can. For more information on cold and flu season, click here.